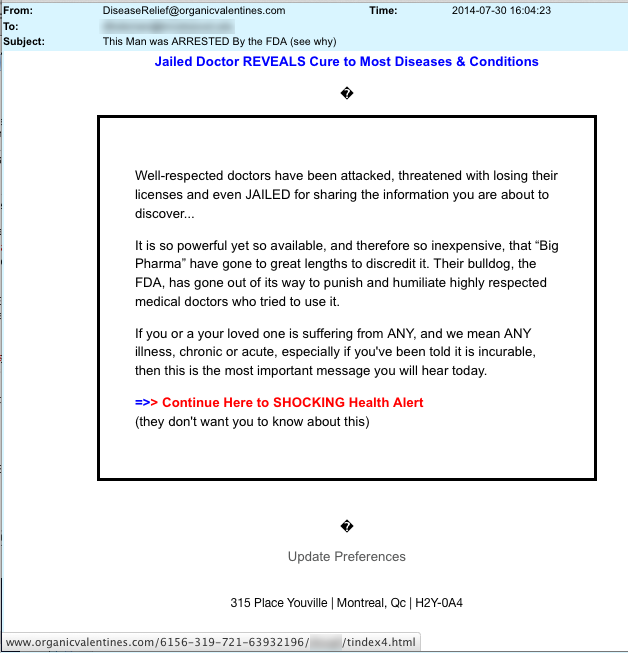 The Daily Scam | Unsubscribe me… NOT! You are here: Home » Unsubscribe me… NOT! A nicely dressed business woman on the left and this obvious annoying scam to reverse diabetes on the right. Click the email to enlarge it. They both have BIG BOLD targets on them that are gonna cause some pain! 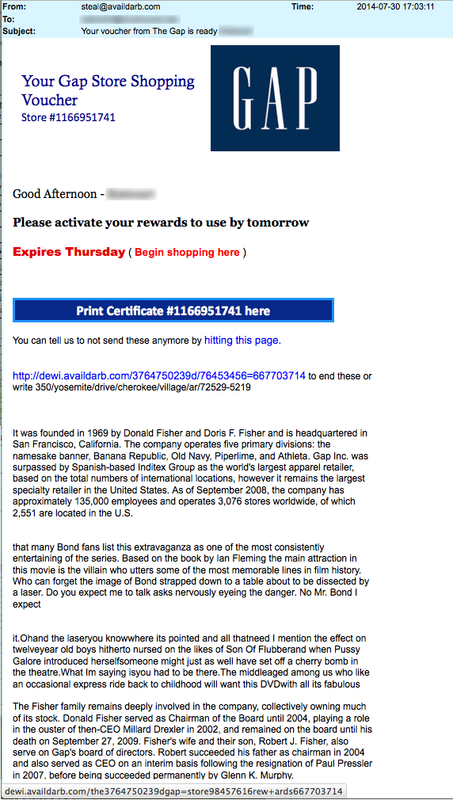 We’re guessing that most people would recognize this email as a scam, or at the very least as spam. If you’re like us you’re probably pretty fed up with junk like this pouring into your inbox. You might wonder how you even got on their email list. 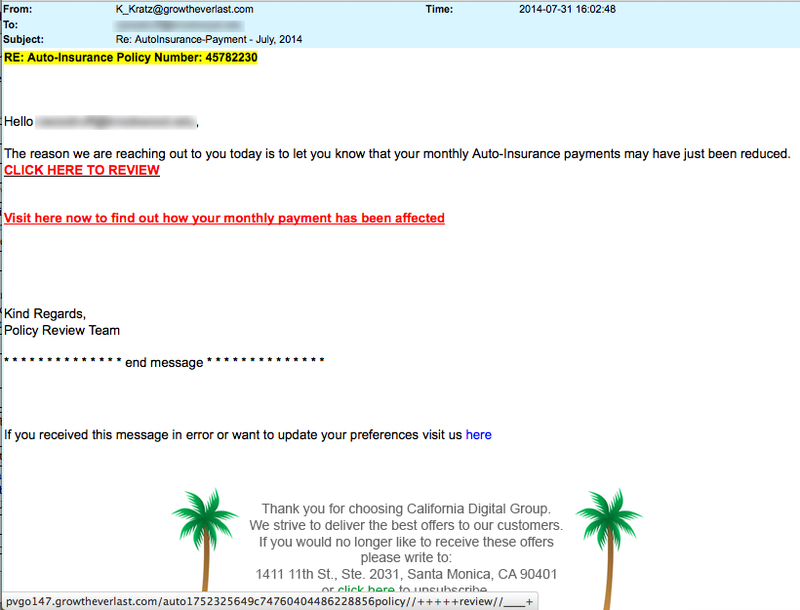 No matter, at least they provided a couple of simple ways for you to get off that email list. Just click unsubscribe right? WRONG! Never, ever click their “unsubscribe,” “remove from list” or attempt to “update your preferences” for an account you never created! 1. The link takes you to the same malicious website where your computer will likely suffer a “drive-by” malware infection. 2. The unsubscribe page you are sent to will ask you to confirm certain personal information in order to unsubscribe you. However, all you are doing is PROVIDING the scammer with up-to-date information to further scam/spam you! You are also letting him (or her) know that you actually open and read these bull%*@# emails! 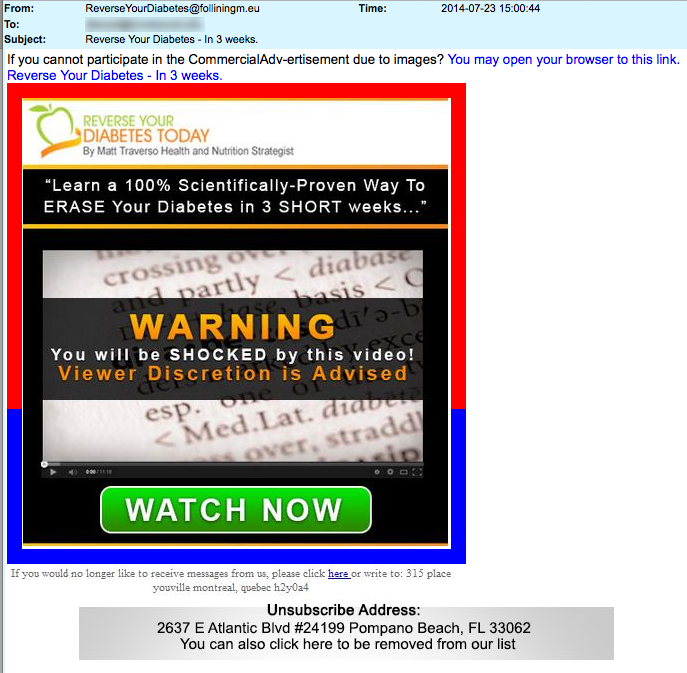 By the way, did you notice in the “Reverse your diabetes” email above that it provided two different unsubscribe addresses? Check it out. One lists a mail address for 315 Place d’Youville [misspelled] in Montreal, Canada. According to Google, that address is for a UPS store or the American Embassy! (Check out a street view.) The other unsubscribe address is listed as 2637 East Atlantic Blvd #24199, Pompano Beach, Florida 33062. 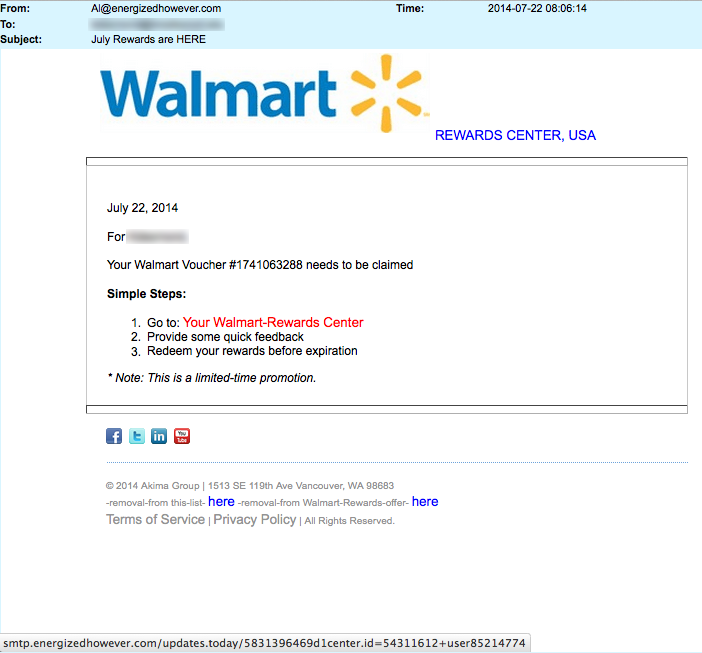 According to PhishTank.com, this address has been associated with phishing scams. None of this information inspires confidence to think that the unsubscribe link they provide is really gonna do anything other than cause more pain!